S1400-24T4F managed 24-port PoE+ switch comes with 24x 10/100/1000Base-T RJ45 Ethernet ports, 1x console port, and 4x Gigabit SFP slots. 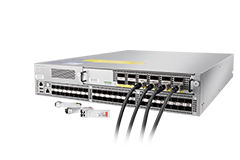 This L2+ managed 24-port Gigabit switch provides a reliable infrastructure for your business network. 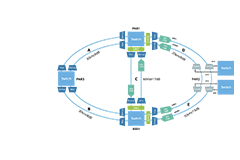 It delivers more intelligent features to improve the availability of critical business applications, protects the sensitive information, and optimises the network bandwidth to deliver information and applications more effectively. 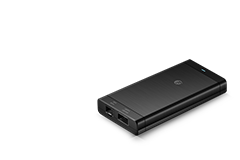 It best fits for SMB or entry-level enterprise solution which demands industrial, surveillance, IP Phone, IP Camera or Wireless applications. 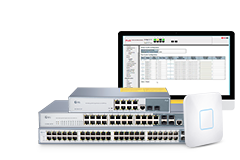 All in all, the power over Ethernet switch provides security, performance, quality of services, centrally managed and other network control capabilities. The PoE+ Gigabit Ethernet switch comes with a 4-years limited warranty, including any quality problems during the free maintenance. 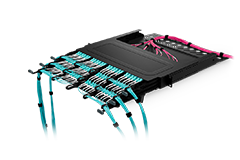 S1400-24T4F has 24x 10/100/1000Base-T RJ45 Ethernet ports and 4x Gigabit SFP slots in a compact 1RU form factor, provide an affordable solution for businesses of all sizes that require simple network management. Available with 24 RJ45 Gigabit ports and 4 Gigabit SFP slots, S1400-24T4F Gigabit Ethernet PoE+ Switch delivers robust performance, PoE+ support, and intelligent switching for growing networks. 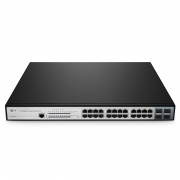 S1400-24T4F Gigabit Ethernet PoE+ Switch with an enterprise-grade high-quality hardware design ensures stability and longevity for PoE+ Series on your networks. 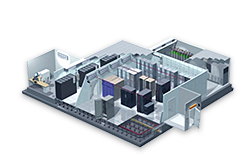 FS software provides the common and easy-to -use web browser-based management GUI, available command set to manage our PoE+ Ethernet switches. 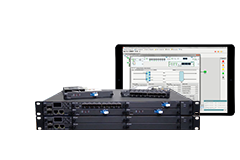 PoE+ Series switches are valid for the IETF RFC2544 standard, which provides an out-of-service benchmarking methodology to evaluate the performance of network devices using throughput, back-to-back, frame loss, and latency tests. I purchased many transceivers from FS before. I saw many good feedbacks from other customers about this switch, so I tried to order one piece early last week. Just received it yesterday and tested it, and I find FS transceivers worked perfectly on its own brand POE switch. Amazing. First of all, the price is very competitive in the market, which saved my budget a lot, the configuration is very simple and easy to set it. The sale is very warming to send me a video to help me set it. 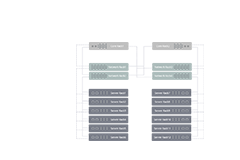 The POE switch support Port-based VLAN, IEEE 802.1Q VLAN and GVRP, simplify the network planning.